All of these services are available at very affordable rates with hassle-free service terms and personalized service. To learn more, keep reading or give us a call today. At LaBell Exchange, our telephone answering services can be adapted to suit almost any business in Long Beach. For example, we provide 24-hour radio dispatching for tow companies, secure order taking for retailers, HIPAA-compliant live-operator with advanced voicemail services for hospitals, confidential phone answering and client screening for law firms, and more. In operation since 1975, our custom answering services have helped thousands of businesses across the counties of San Diego, Los Angeles, Orange, and Riverside reduce overhead costs, boost profitability, expand operating hours, increase customer satisfaction, and enhance efficiency. Long Beach businesses can rely on LaBell Exchange to provide superior customer service at all hours of the day or night. We answer most calls within three rings and have the resources to ensure your Long Beach customers get the attention they need, when they need it. From explaining the benefits of your service to compassionately caring for callers involved in an emergency, our phone answering representatives always provide exceptional over-the-phone assistance. In fact, no matter the call volume, our call center operators will deliver accurate, courteous, and professional customer service in Long Beach, including message taking, dispatching, translating, order taking, and more. Call today. If your business needs a receptionist to answer phones, provide general customer assistance, route calls, take messages, and schedule appointments, but is concerned about the associated costs of hiring another employee, consider investing in cost-effective virtual receptionist services from LaBell Exchange. 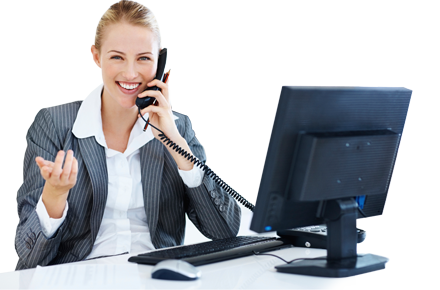 Long Beach businesses are frequently turning to us to provide them with highly experienced and courteous virtual receptionists who are trained to represent each client as if they were their only client. Our operators can be trained to follow your pre-approved script and protocols, and make the caller's transition from our call center to your company seamless and natural. Additionally, our virtual receptionist service can be easily expanded to include other tasks as needed, such as taking orders, taking reservations, managing complaints, answering frequently asked questions, and more. To learn more about our virtual receptionists for Long Beach, give us a call. 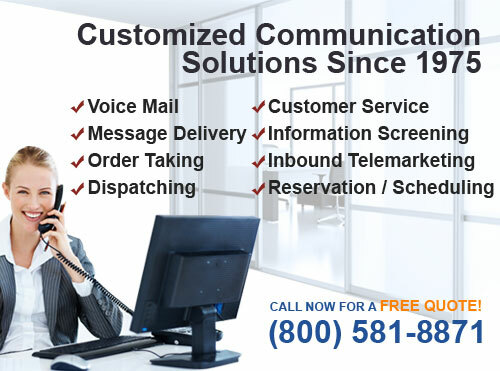 Using Startel's Contact Management Center (CMC) platform, we are able to provide Long Beach businesses with a full selection of voicemail features, such as operator-assisted or automated voicemail, options for personalized greetings, custom hold prompts, and advanced message delivery via email, cell, fax, and text. We also provide businesses in Long Beach with voicemail trees that allow them to designate conditions under which callers are routed to live operators, dispatch lines, or pre-recorded voicemail boxes for specific employees or departments. To learn more about which of our voicemail features will best suit your Long Beach company, customer needs, and budget, give us a call. Whether you want to gather customer preferences or get feedback about recent services, give us a call and ask about our over-the-phone surveys. Our call center is well staffed and all of our phone operators have the experience necessary to ensure they are able to handle large call volumes in a timely manner without sacrificing accuracy or courtesy. They are skilled in walking callers through questionnaires, routing them to automated prompts, and conducting surveys according to your specific preferences using scripts or pre-defined answers to commonly asked questions. We offer businesses in Long Beach highly accurate order taking and message taking services. To reduce the possibility for mistakes, our operators take the time to repeat information back to the callers and can record calls for verification or quality control purposes. All information is kept strictly confidential so our operators can also be trusted to take payment information or other sensitive information. Orders and messages are then forwarded to your business in the precise manner you specify. Options include entering data directly into your content management system or capturing data in custom forms and forwarding it in batches. Our prices are fair and together with our 24-hour availability we offer Long Beach businesses a great return on their investment, helping them to capture additional customers, expand their advertised services, and increase customer satisfaction. So give us a call and learn more about our order and message taking services for Long Beach commercial clients. At LaBell Exchange, our call center operators take and deliver messages at all hours of the day and night. Fully trained to provide exceptional phone answering services, they can be trusted to take and deliver messages in a timely manner without ever sacrificing accuracy--and all for a fair price. In fact, using the latest software from Startel, they can provide businesses in Long Beach with batched or immediate message delivery via cell, fax, email, or text, as well as offer a wide array of support services, such as call queues, dispatching, call recording, reporting, and more. To learn more, contact us today. Our call center has over 35 years of dispatching experience that Long Beach customers can count on. We've provided dispatching services for thousands of clients and specialize in both emergency and non-emergency calls. We are extremely responsive (answering calls within the first three rings 24 hours a day) and reliable. Whether your field staff have radios or cell phones, we are able to accommodate any dispatching protocol that you have at your Long Beach company. Call today and learn more about our dispatching services for Long Beach. Our call center provides businesses in Long Beach with professional information screening services in which our operators help determine how to direct your callers. Available for a very reasonable price, our information screening service has enabled past clients to outsource pre-employment screenings; manage intake of potential plaintiffs in a class action lawsuit; handle incoming responses to recall notices; and more. We've worked with thousands of clients from a variety of backgrounds and excel in using pre-approved company scripts, handling high call volumes, taking accurate and complete notes, and providing caller analytics. Combined with our professionalism, courteous customer service, and reputation for delivering superior telephone answering services, we offer our Long Beach's best value in live telephone answering services with information screening. Call us today. At LaBell Exchange, we offer businesses in Long Beach inbound telemarketing services at very affordable rates without any long-term commitment. Perfect for following up large-scale outreach efforts, our inbound telemarketing services can be adapted to suit almost any business, no matter its industry or size. This service typically includes designated local or 1-800 phone numbers, access to our live operators 24 hours a day, order taking services, voicemail trees, and advanced message delivery. Call today and find out if inbound telemarketing is right for your Long Beach company. 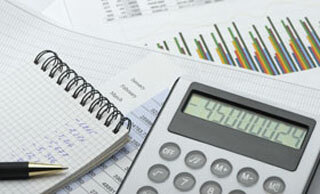 LaBell Exchange offers businesses in Long Beach very accurate reservation taking and schedule management services. Our call operators answer most calls within three rings and always repeat caller preferences and information to ensure proper scheduling and customer satisfaction. Plus, our prices are competitive and far below that of a full-time staffer. So, call us today to learn more about our scheduling and reservation management services in Long Beach.